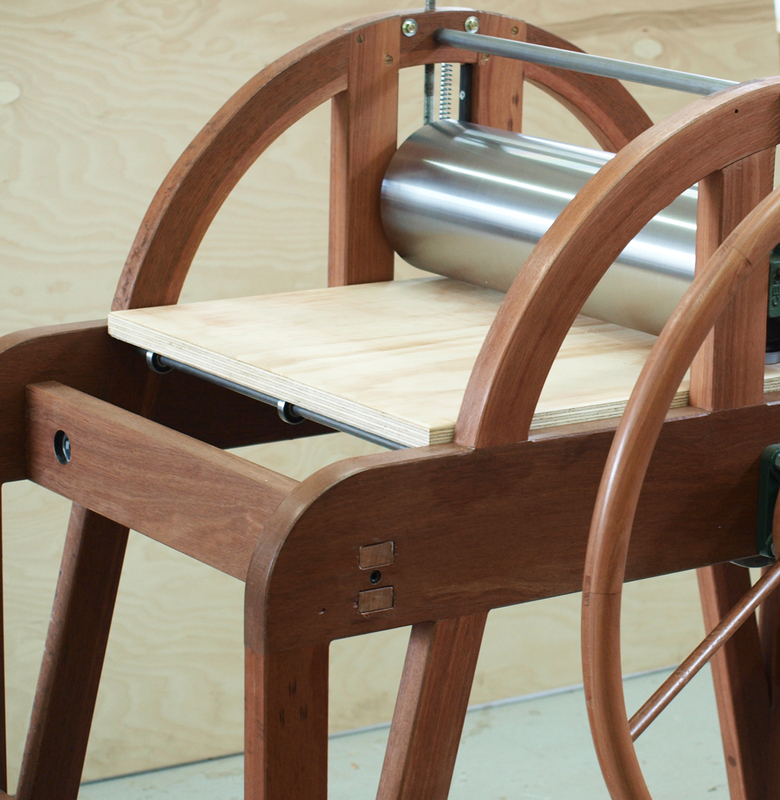 Recently I undertook a project to manufacture an etching press. I started it for the challenge but also so as to experiment with wood block printing, to engage a method of branding and in it I hope to influence my furniture designing and I’m sure it will make an appearance in the manufacturing side of things too. 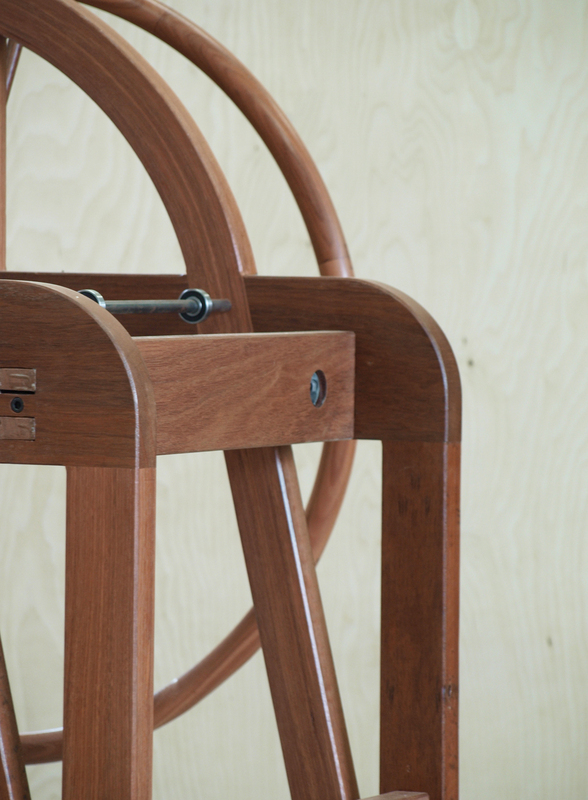 I built the frame from Jarrah for its strength, affordability and dark colour, which I hope will darken over time. I certainly enjoyed the process of assembly and am happy to have finished this project, which now will only continue on into other processes as I utilise it as a tool. 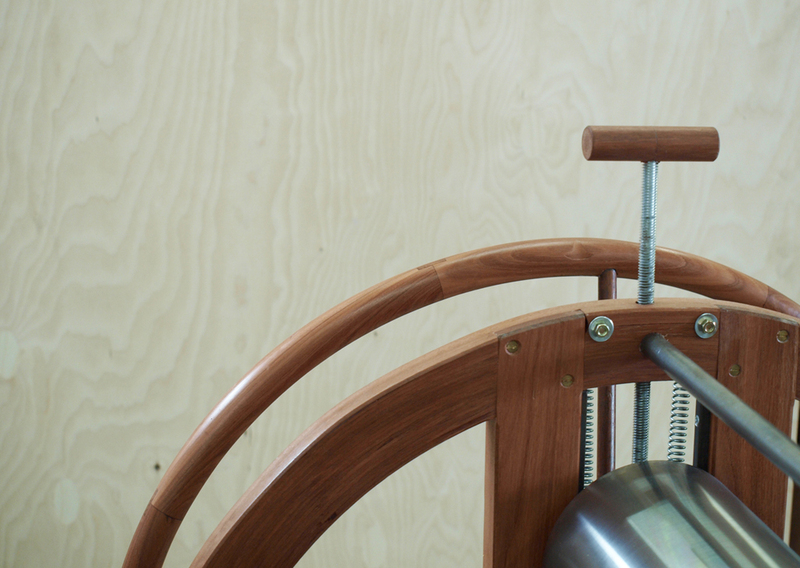 This project reminded me constantly of feelings that I had when building a woodworking bench in my degree at the ANU Art School and how buy building a tool such as these you become aware of the amounts effort that have gone into the product and as a result guarantee the care and correct use of the piece of equipment. 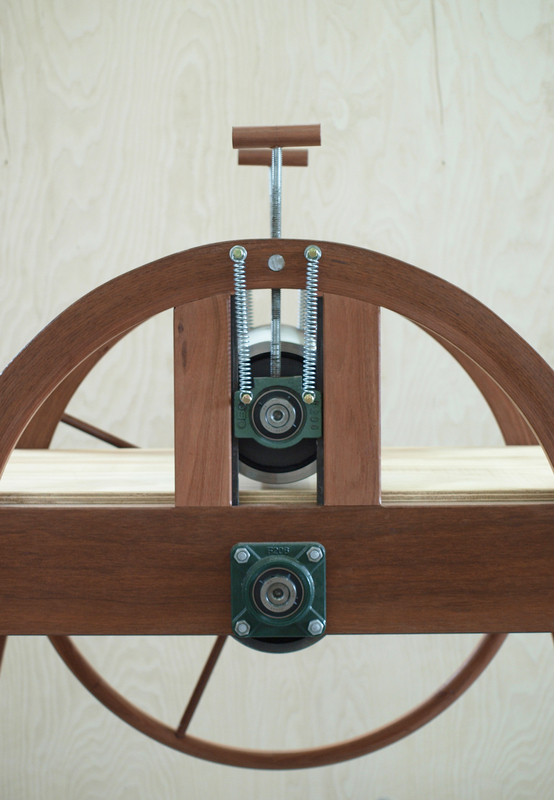 I sourced the rollers from MES Presses, Melbourne, who were an enormous assistance and offered feedback on my design to ensure that the final result would function beautifully as well as tailoring rollers to suite a thicker (wooden) frame. So thanks to both Dolly and Michael from MES Presses. “Printmaking is an art-form with a long history that includes a variety of ways a print can be made. One popular technique is relief print making using a wood block. Wood block prints have a unique character impossible to recreate with other techniques. As you probably guessed, the block print process uses a block of wood. The block is carved and then covered with ink using a brayer in order to create an impression. Wood Block is so unique because the wood itself has the uncanny ability to take on a life of its own. The type of wood that is chosen to make a block can really affect the type of print it creates. A hard block will offer sharp lines and an overall cleaner look but requires a fair amount of strength to cut. A softer block is quite easy to cut, but because of that, fine details can be easily lost. Regardless of what type of wood you decide to use as your block, it is crucial to have a flat block free of any warps or bends and sharpened chisels. Though sharpening can be boring and tedious, dull tools will ruin your block due to their unpredictability while cutting. Just like it is important in drawing to keep your lines all moving in the same direction along the object, in wood block the same rule applies to your chisel marks. If you move slow and keep a steady hand, it is easier to create a block to be proud of. The technique of wood block printing requires a great deal of work and preparation. Due to its hands on style, wood block has a character unmatched by any other relief printing technique. In the tech-heavy world we live in, it is sometimes nice to get your hands dirty”. You have done a wonderful thing here with your wood halfwood press. I have sold several of my “halfwood” etching presses to Australian artists and designers. Each time i get interest from AU, I ask, “Is there anyone you know who would like to make and sell the Mini Halfwoods (and larger ones, too) I designed? The shipping and VAT are killing! How much did this cost or how much would you charge to make one? Have you made any prints with it yet? It was a while ago now that I built this and would have to have a good think about how much I would charge for one. If you’re interested in a accurate price, please email at hello@noddyboffin.com and I will get back to with a price. I have made prints with it. However soon after completing it I moved studio and I had to put it in storage. I am very much looking forward to getting back out and using it again. your press is very beautiful . My daughter is looking for a press and I was wondering how much one like this would cost to have made. Thanks, I appreciate your kind comments. It is not something we specialise in and don’t do very often, but I am happy to provide a quote. Please email me at hello@handsomeandco.com and I can discuss further. what you used (Jarrah). The lower roller will be 6061 T6 and 4″ diameter solid aluminum with 1.5″ shoulders for the bearings. The bed will be hardened tool steel and tempered to a 62 Rockwell (hardness number) so it will never curl. The prices of etching presses is too high, so if anyone does a bit of research for plans, there are many sites that offer build your own etching press available online. It’s fun just to do the research and digging around to see the many choices available. I believe you posted a super fast realtime video of the build ? Thanks for your inspiration and talent as a wood worker. Regular folk will never be able to build it even from plans. I live in NJ and have plans and I cannot find anybody to help me with build.